The metal used in certain hip replacements may present certain health risks. The medical device company Stryker had to recall about 20,000 Stryker Rejuvenate hip replacements and now has experienced a major drop in profits, yet the company still appears to be going strong. In the second quarter of the year the company’s profits dropped 34.5 percent after the recall. An investigative FDA panel discovered during a several month long investigation that there were no tangible benefits to using hip replacements like the metal on metal ones that Stryker was producing. The FDA conducted the review of 500,000 patients who had these type of replacements. Of these there were 17,000 reports of problems. Initially, the company expected the recall to cost somewhere between $190 million and $390 million. However, this came before the FDA issued its report that it saw “almost no good reason” to use the metal on metal implants. Before July, Stryker spent $400 million on the recalls and surgery revisions, and since then they have needed to spend an additional $170 million. There is a current multidistrict litigation in Minnesota, consisting of over 41 lawsuits that were transferred to the District of Minnesota as well as another 110 cases that could also be transferred to the same court. The first Pretrial Order was issued by the US District Court, District of Minnesota on July 5. The litigation will occur sometime in August of this year on a date that has yet to be set. In New Jersey similar proceedings are underway. There are 161 Stryker hip filings in the New Jersey litigation which will be heard by New Jersey’s Bergen County Superior Court. The injury claims from all of the lawsuits indicate that the patients sustained serious injuries from their Rejuvenate and ABG 11 replacements. These injuries included necrosis, premature device failure, metallosis, and osteolysis. The devices prematurely failed because at the modular neck junction there was a propensity for corroding and fretting. Unfortunately, pain and swelling can accompany these injuries, due to reactions in the surrounding tissue, Stryker related. Stryker is advising all patients who have these implants to undergo medical screenings even if there are no symptoms of an adverse reaction or if the replacement seems to be functioning normally. While they advise medical care, it is not clear whether they will cover the cost of the screening. The company still expects to do $9.2 billion in revenue in 2013 and says they expect 4-5.5 percent sales growth. If you have experienced problems from a metal on metal implant, or are experiencing any adverse symptoms like the ones described after undergoing a similar surgery, contact a St. Louis product liability lawyer. After undergoing a surgery that can already be difficult and pose obstacles to performing daily activities, needing further medical treatment after the device fails can be traumatic. 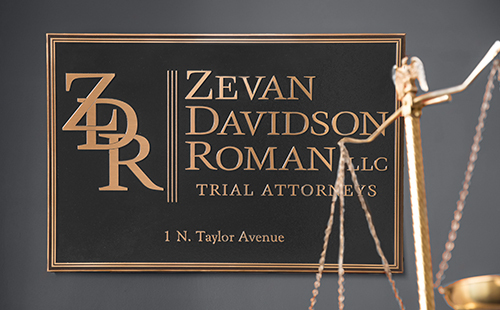 Discuss the trusted St. Louis personal injury lawyers at the Zevan and Davidson Law Firm. We can assist you in determining your options and rights, as well as the best course of action moving forward. To schedule a free consultation call Zevan and Davidson at (314) 588-7200.